A black and white study. 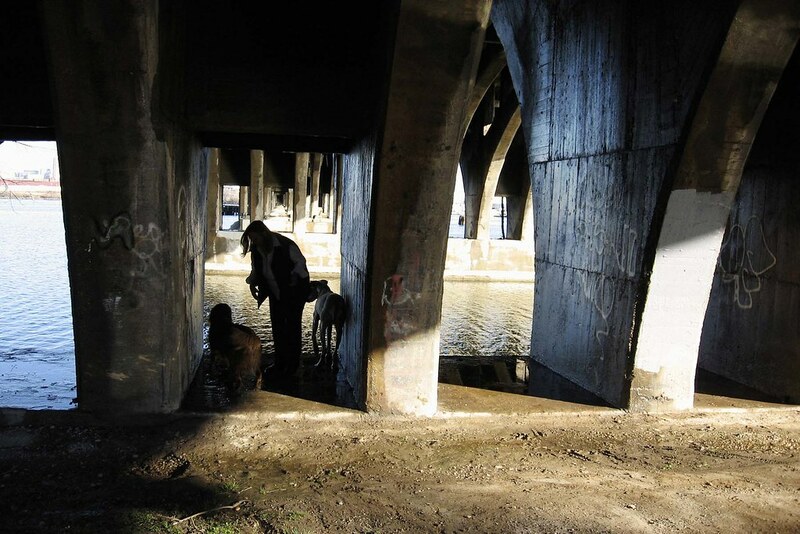 BJ, Zorba, and Gus under the Hanover Street Bridge where the homeless used to live. "Seeing" is my most important thing: lines, shadows, contrasts, repetition: "fundamentals of design."